Soldier Ride provides wounded warriors the opportunity to reclaim their confidence and strength through the exhilaration of cycling. Participants embrace possibilities for the future in a supportive environment of fellow injured service members. Soldier Ride provides adaptive equipment for the wounded warrior to bike in a variety of three-day to four-day rides across the country. Private and corporate donations and sponsorships provide equipment and support to injured service members at no cost to the warrior. For more information on Soldier Ride, please see the Facebook Page and follow us on Twitter. here is the official flier for our Big sale next week, we have a great supply of everything you will need to finish out your riding season. Get shorts and gear for that next Tri, Pelotonia, charity ride, race, century or commute. most bikes will be 5-25% off!!! Thanks and see you next week!!!!! Editors Note: If you are having a sale at your bike shop please let me know and I will post it! The River to River Romp - East Liverpool to Cincinnati. This year will be the Ohio River Valley Adventure. Rider Limit: 250. 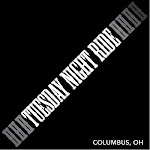 Join an intimate group on a supported ride through the rolling hills of eastern and southern Ohio. We will go through beautiful farmland and forests as we skirt the Appalachian foothills of the far southeast portion of the state. We average 60 miles a day and will have a two midweek century options for the more adventurous among you that want to experience the challenge of the hillier areas. The ride will start in Calcutte (east Liverpool) and finish in eastern Cincinnati. Registration information will be on the website. Approximately 60 miles per day Columbus Outdoor Pursuits, Attn: Maureen Williams; 1525 Bethel Road Ste. 100; Columbus, OH 43220-2054. 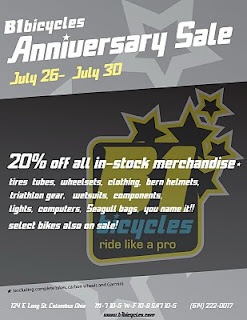 B1 Bicycles will be celebrating its third anniversary July 26th-July 30th. 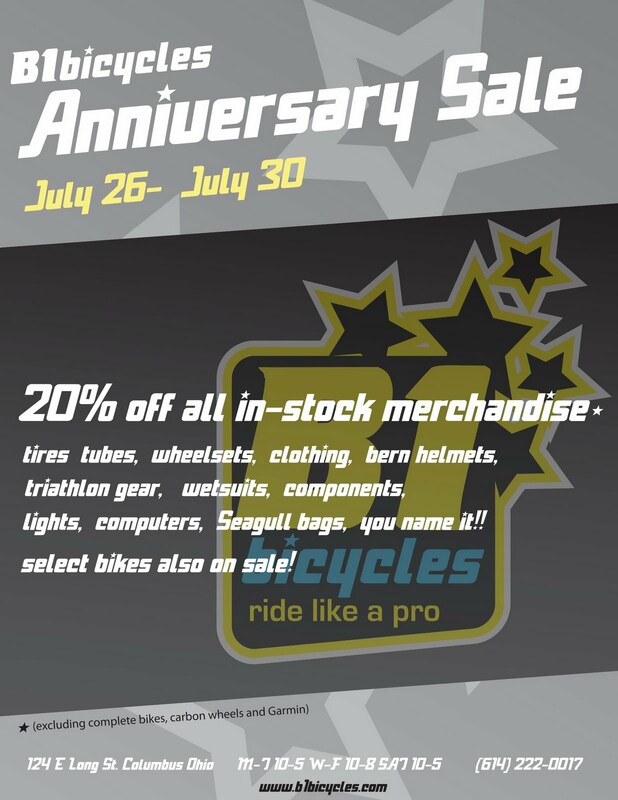 In honor of this celebration, all in stock merchandise will be 20% off (excluding complete bikes, carbon wheels and Garmin). Select bikes will also be on sale. B1 Bicycles carries a wide array of performance bikes, triathlon supplies, accessories and much more! Any bicycles purchased will be provided with a lifetime of free tune-ups and any purchase of $500 or more enters you into our customer loyalty program, which awards you 10% off your next purchase. B1 Bicycles was established in 2007 and has grown to provide a full range of bicycling needs for the Columbus market. The store is locally owned and operated by Casey Karnes, a former bicycle messenger and current road, mountain and cyclocross racer.